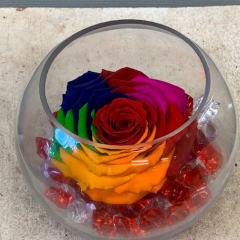 Our Everlasting Rose Bowls feature a preserved rose! 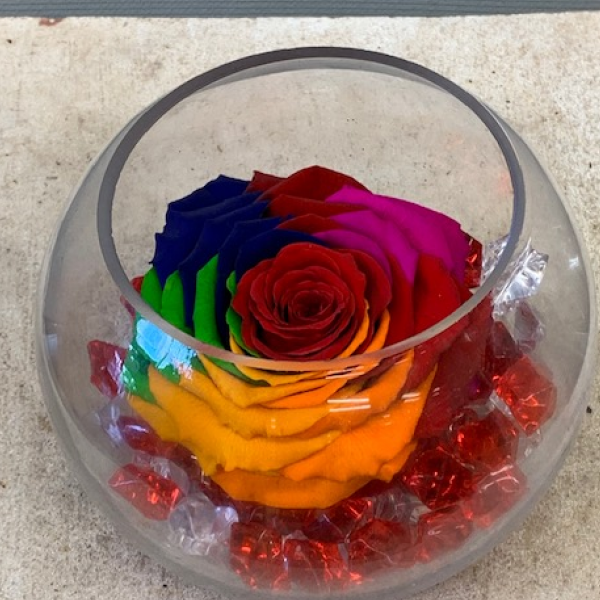 Available in 5 colors, these roses will last a year or longer. A great way to express your love or fond thoughts. See other selections for color choices. A Fremont Flowers exclusive.